HomeMan UnitedWhy Would The Arrival Of Toby Alderweireld Be Such A Big Deal For Manchester United? 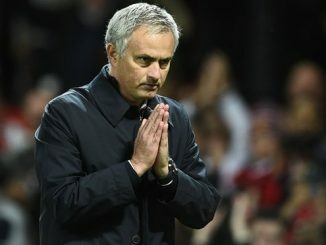 The new Premier League season is not to start for another six weeks or so and Man United need to start moving faster in the transfer market. 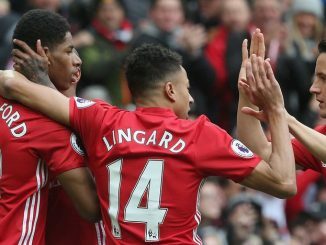 Signing new players as early as possible will be more important than ever, as this summer the transfer window will be closing for English clubs on the eve of the season. As a matter of fact, there could be some very nice, positive news in that regard. According to Yahoo Sports, Manchester United have been given a huge boost in their chase of Toby Alderweireld. “Tottenham are open to selling Toby Alderweireld and will consider a deal with Manchester United if the price is right. 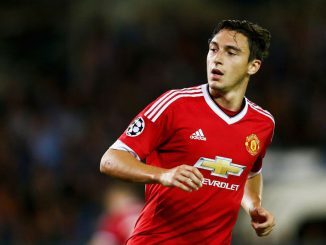 Man United have been given encouragement that a compromise can still be reached”, it was said at Yahoo Sports about this possible transfer. It would appear that reaching an agreement with Spurs is a bigger possibility than few weeks ago. It also looks like Pochettino is completely ready to move on and let the Belgian go, even to a big English club. So, what would his arrival do for Manchester United? Why would seeing him in the famous red shirt do worlds of good to this team? First and foremost, Toby Alderweireld possesses great quality, a quality of an elite Premier League centre-back. We could see that at this World Cup as he played every minute of the five games he featured in. However, most importantly, he has been proving himself big time in Premier League in recent seasons. During 2016-17 season he was probably the best centre-back in English domestic football, playing with ease and swagger in Spurs’ back line. His ability to keep the ball in possession and play neat and tidy passes, often breaking the lines of opponent’s setup is an incredibly important thing for centre-backs in modern football. Yet, he also has something in his game that reminds of the old times. He is physically strong enough and anticipates the game very well and that is why he rarely has to go into lunching tackles and hurrying himself to do something. Everything seems smooth and Manchester United really need that kind of a defender in their team. Alderweireld has been around for some time now and in March next year he will turn 30. However, that should not be counted against him. First of all, centre-backs have their careers often much longer than those of pacey wingers who more often struggle later on in their careers. United could definitely get some great seasons out of him in the period of the next three or four years. This also means that he is currently in his peak ages and has matured. We should not forget what kind of centre-back problems Jose Mourinho had last season. With Alderweireld in the team, Mourinho could build things around him and David De Gea, two true pillars of a future team. That would be a very good setup for United to grow in other areas of the pitch. Things at the back would be far less shaky and United would get new options when going forwards. There are not many negatives about the Belgian – indeed, he did not play much last season, but that could also be a positive thing, as United could get him for a bit less money and also get themselves a player ready to play week in week out throughout the season. And try and win trophies. 1 Comment on Why Would The Arrival Of Toby Alderweireld Be Such A Big Deal For Manchester United?